Are you ready to find the holy grail of dividend investing? The ideal dividends are stocks in strong companies which pay out a high dividend yield. Savvy investors can reinvest payments and, over time, create a veritable treasure trove of double-digit annual gains. Furthermore dividend stocks from financially healthy companies offer a savvy way to hedge risk against more volatile stocks. 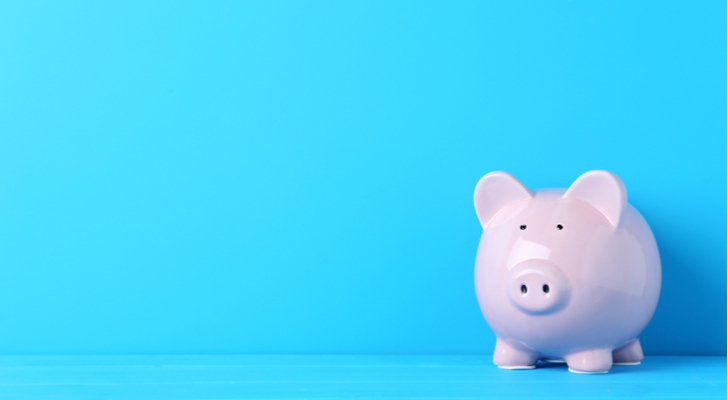 “While equity markets have been volatile recently, dividend payments are reflective of corporate health and economic conditions and we expect them to be much more stable” Ben Lofthouse, a director at Janus Henderson, told CNBC recently. To pinpoint these elusive stocks, I set the TipRanks’ stock screener to filter for stocks with a “positive, high or very high” dividend yield and a “strong buy” analyst consensus rating. This is based on only ratings from the last three months. The result: we can be confident that these are premium stock picks with the biggest Street support right now. Plus looking at the average analyst price target is a handy indicator of the dividends’ upside potential in terms of share price. Semiconductor giant Broadcom Ltd (NASDAQ:AVGO) has just paid a dividend of $1.75, up from $1.02 the previous quarter. Indeed, with a dividend yield of 2.9%, AVGO has an impressive dividend growth record of eight years and counting. He adds: “We believe AVGO has one of the most strategically and financially attractive business models in semiconductors.” Going forward, the company enjoys multiple catalysts, including a sustained competitive advantage in high-end filters and a “sticky” non-mobile business. Plus, management has the ability to drive enviable growth/profitability in a host of business environments. President Donald Trump blocked Singapore-based Broadcom’s $117 billion hostile takeover of Qualcomm on March 12. He attributed the unusual decision to national security concerns. If you haven’t heard of Air Products and Chemicals, Inc. (NYSE:APD), listen closely. This is a comparatively high-quality Dividend Aristocrat — one of only 50 companies that has raised its dividend payout for over 25 consecutive years. Pennsylvania-based APD is the largest supplier of hydrogen and helium gas in the world. It also pays a lucrative dividend and has just further hiked its payout by 15.8% to $1.10 a share per quarter. This is on a 2.6% yield — just slightly higher than the sector average. The best part is that the company’s strong outlook is likely to lead to further dividend increases. TipRanks reveals that this stock has 100% support from the Street right now. Over the last three months, eight analysts have published buy ratings on Air Products — no hold or sell ratings here. These analysts are predicting over 13% upside potential from the current share price. Five-star Key Banc analyst Michael Sison has just ramped his price target $9 to $184. He is becoming increasingly bullish on APD due to its: 1) first-quarter EPS beat; 2) lower tax rate; and 3) higher confidence in the company’s volume projections. All this leads him to conclude that the company is on track to produce impressive earnings growth of 16% year over year. I highly recommend Irish-based Medtronic PLC (NYSE:MDT), one of the world’s largest medical equipment development companies. Medtronic has a whopping 40 consecutive years of rising dividend payments under its belt. Currently, MDT pays a 46-cent quarterly dividend on a 2.3% current yield with a low payout ratio under 50%. On top of being a Dividend Aristocrat, Medtronic also boasts a steadily rising share price over the last five years. And the word on the Street is that 2018 will be a stellar year for this “strong buy” stock. The company has launched its own robot-assisted surgery device with Mazor Robotics (NASDAQ:MZOR) — and the partnership is starting to bear fruit. According to CEO Omar Ishrak, we will start to see the revenue from this “pull through” in coming quarters. In the last three months, Medtronic has received seven buy ratings vs just one hold ratings. These analysts are projecting a 14% spike for the company from its current share price. Take Needham’s Michael Matson, who reiterated his buy rating and bullish $95 price target on Feb. 21. “We are encouraged by the stronger revenue growth and expect it to eventually translate into stronger EPS growth as currency headwinds ease” explains Matson. 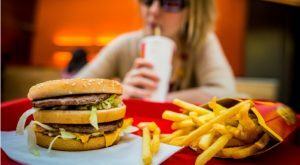 McDonald’s Corporation (NYSE:MCD) a.k.a. 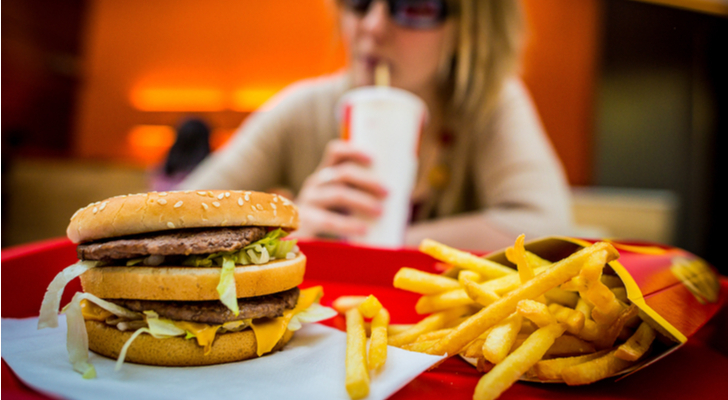 the “Golden Arches,” boasts a lucrative dividend payout. Back in September, the board of directors approved a sizable payout increase of 7%. This counts as McDonald’s 41st straight dividend increase. As a result, McDonald’s paid shareholders a $1.01 quarterly dividend in December with a 2.5% yield. And this isn’t all. The Street is rallying around McDonald’s right now. In the last month the stock has received no less than seven back-to-back buy ratings. With an eye on the new value menu, Jefferies’ Andy Barish reiterated his buy rating and $200 price target (26% upside potential) on March 16. The $1 $2 $3 menu means a roughly 15% price cut for consumers. “As MCD’s comp softness proves temporary, investor focus likely will revert to its free cash flow potential in a normalized capex environment” wrote Strelzik on March 12. According to BMO’s calculations, MCD should generate roughly $7 billion of run-rate free cash flow by early 2020. Oil and gas giant Chevron Corporation (NYSE:CVX) is a premium dividend stock for the long-term. Chevron’s dividend yield is a lucrative 3.9% thanks to an annual payout of $4.48. Note that the yield is far above the basic materials sector average of 2.4%. Most impressively, Chevron has a strong record of steady dividend increases over the last 32 years. Yes that’s right, we are looking at a Dividend Aristocrat here. Shares have pulled back recently over $130 in January to under $114. But don’t be alarmed! This is a buying opportunity. From a Street perspective, Chevron is still a top pick. This is a “strong buy” stock with 100% support from top analysts over the last three months. Even better, with a $142 average price target, these seven top analysts see 25% upside potential from the current share price. The most bullish analyst of the pack is Cowen & Co’s Sam Margolin. He has a very confident price target on CVX of $160 (39% upside potential from the current share price). Margolin blames concerns over Australian LNG free cash flow and growth in the Permian basin as responsible for the slipping prices. But he reassures investors that both these investment pillars are still fundamentally intact. Bear in mind Margolin is one of the Top 200 analysts on TipRanks for his precise stock picking ability. In the basic materials sector specifically, his ranking shoots up to top 10. And on CVX specifically he scores an 86% success rate and 9.2% average return. I highly recommend checking out Marlboro-maker Philip Morris International Inc. (NYSE:PM). Not only does PM pay a high dividend yield over 4%, it also boasts a 10-year dividend growth streak. The company is about to begin trading ex-dividend in advance of a $1.07 quarterly payout in April. So, the million-dollar question — should you invest now? Looking forward, all cigarette companies face a huge industry disruption. Global smoking habits are set for inevitable long-term decline. Luckily PM has a get-out plan. The company recently announced that it wants to build its future “on smoke-free products that are a much better choice than cigarette smoking.” The result: a strong push towards reduced-risk vapes and e-cigarettes that contain nicotine but don’t burn tobacco. And it looks like the Street approves of this dramatic decision. In the last three months, PM has received only buy ratings. The five analysts covering the stock have an average price target on PM of $123.40. This suggests big upside potential of over 25%. Indeed, Citigroup’s Adam Speilman has just upgraded PM from “hold” to “buy.” We are facing a “new world of tobacco” says Spielman as vapes and heated tobacco record strong uptake. He believes PM is moving as fast as possible into this new world and – as a result- margins will start increasing again in the next 12 months. Theme park giant Cedar Fair, L.P. (NYSE:FUN) is a key dividend stock that often gets overlooked by investors. Not only does FUN pay out a relatively high yield of over 5%, it has raised its dividend every year for the last five years. Indeed, on average Cedar Fair has increased its dividend payment by 6.6% annually over the last three years. Shareholders have just received a quarterly dividend payout of $0.89 on March 19. “A return to past trends of 4% EBITDA growth looks quite reasonable and appealing for a stock indicating a yield of nearly 5.5% and operating as a leader in theme park industry that is secularly well positioned” concludes Crockett. Now he projects a 20% share price increase in the coming months. Despite a tough 2017, our data shows that Cedar has received four consecutive buy ratings from analysts in the last three months. These analysts are predicting 16% upside potential from the current share price. TipRanks offers investors the latest insight into eight different sectors by tracking the activity of 4,700 analysts, 5,000 financial bloggers and even 37,000 corporate insiders. As of this writing, Harriet Lefton did not hold a position in any of the aforementioned securities. Article printed from InvestorPlace Media, https://investorplace.com/2018/03/7-high-quality-dividends-for-2018-and-beyond/.